Closing Soon! Global Curve & Brawn Model Search 2018. Last chance! 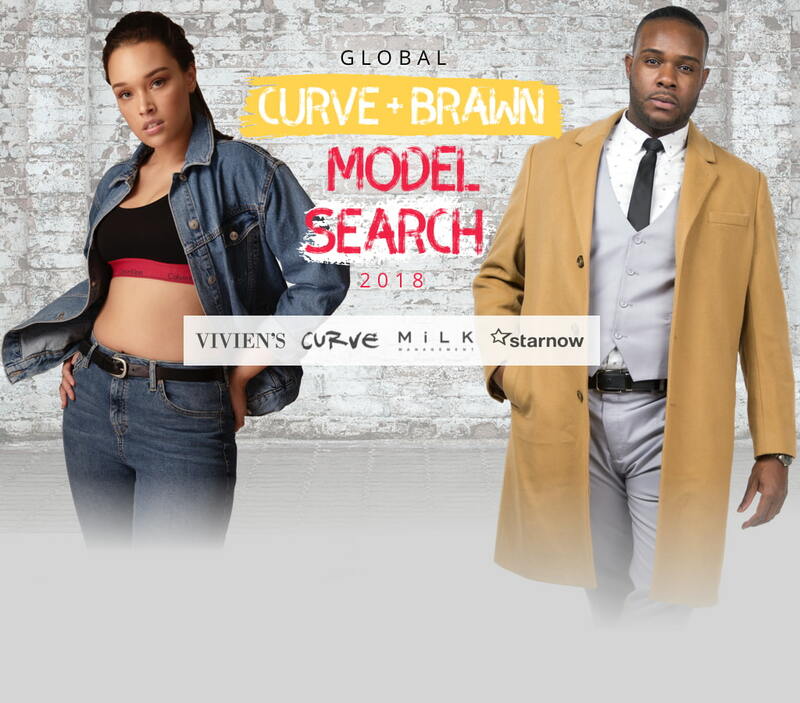 The Global Curve & Brawn Model Search 2018 closes 14 May so get in quick! This is your time to shine, so what are you waiting for?! If you are a curvy woman or big tall man looking to start a modelling career then apply now to be in to win. You don’t need experience, just a warm smile and a positive attitude. This is your chance to start a modelling career with three of the top Curve Model agencies in the world – MiLK Management (UK), Vivien’s Model Management (Australia) and Curve Model Management (Germany). Our 2017 winner Vivian Eyo Ephraim has rocketed to stardom on Twitter after her sensational debut with ASOS (who will ever forget that yellow bathing suit?!). Another StarNow curve competition winner Kate Wasley went on to be a global star with a recent spread in Sports Illustrated. You don’t need professional photos but just make sure we can see you clearly, and wear simple clothes that show your shape. Applications are open to men and women from anywhere in the world – and you can apply free! Please note: You can still enter if you’re already signed with another agency, but if you’re asked to sign with Vivien’s, Milk or Curve, you’ll need to be able to resign from your current agent with no ongoing obligation to them. If you’re not sure about this, check the details of your contract. Apply now for free to launch your modelling career! CURVE Model Management stands for all curve sizes, small and big. We specialise exclusively in Plus Sized Models and have an international portfolio of both models and clients. Whatever the requirement we can provide professional curve models that fit the brief. For us the fashion should matter rather than the dress size. Female model: Lauren Frederick (MiLK Models, UK), photographer: Lucas Suchorab. Male model: Olivier Germain (CURVE Models, Germany), photographer: Kyle Lynch.